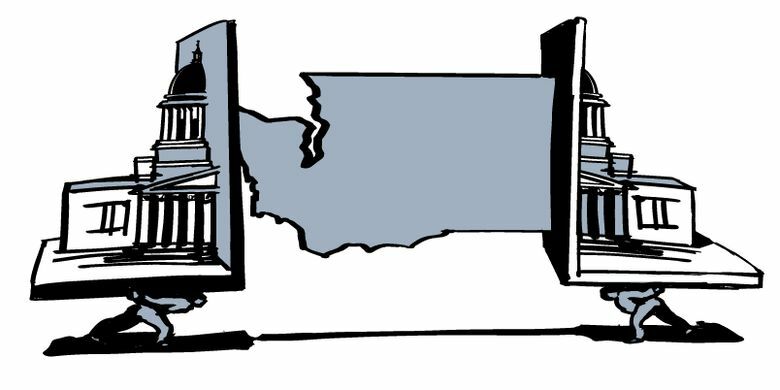 We hope that — moving forward — Democrats will work to understand the needs of those outside the Greater Seattle area. For the past five years, the bipartisan Majority Coalition Caucus controlled the Senate, while Democrats controlled the House of Representatives and governor’s mansion. For measures to pass, members of both chambers had to debate, negotiate and compromise. 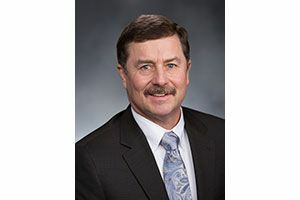 State Sen. Mark Schoesler, R-Ritzville, is the Senate Republican leader and represents the 9th Legislative District in southeast Washington. This process resulted in the passage of historic legislation, such as the first-ever college-tuition reduction, a $16 billion transportation package and a plan to fully fund basic education with equitable levy reform. Neither Democrats nor Republicans got exactly what they wanted because neither dominated the Legislature. We should never measure the success of the Legislature by how many bills we pass or whether or not we end a session on time. The true measure of success is the adequate representation of the values of voters across Washington. Did everyone have a voice? Did we take on big challenges or simply pass them on to future generations? As I reflect on the five years since two Democrats broke ranks and joined the Senate Republicans to form the Majority Coalition Caucus, I am proud of how we addressed challenges and what we accomplished. It took hard work, and more than a few overtime sessions, but every piece of legislation that made it to the governor’s desk had bipartisan approval. Our biggest achievements included refocusing the budget to fund education first; the first meaningful tuition reduction in the country; the two most bipartisan operating budgets in the past 60-70 years; maintaining a four-year balanced budget law; the REAL Hope Act, which expanded access to higher education; the VIP Act, prioritizing the needs of disabled Washingtonians; the toughening of our felony DUI laws; and the buildup of the “Rainy Day Fund” to protect Washington in the event of an economic downturn. Each of these efforts protects Washington’s families and represents the best of what the Legislature can do when it must give Republicans and Democrats an equal voice. When a single party is in control of the House, the Senate and the governor’s office, its members have the luxury of not having to consider opposing views. Debate can become meaningless and compromise unnecessary. Bipartisanship can become dispensable. Not so with divided government. I hope that the new Senate majority will remember what we were able to achieve by working together and use its position to advance the needs of all Washingtonians — from every corner of the state. While most Democrats in the Legislature represent the Seattle metro area, where a $15 hourly minimum wage, safe-injection sites for heroin users and a mountain of taxes are popular, many other parts of the state are focused on creating jobs related to agriculture, manufacturing and rural development. And while popular in some corners of Seattle, a state income tax, a tax on savings and investments (capital gains) and a job-hampering carbon tax are proposed revenue streams that are unpopular with most voters. The accomplishments of the past five years are just the beginning of the successes we could see if all come together, put politics aside and sincerely work for one Washington. Mark Schoesler is Senate minority leader and represents the 9th Legislative District.